We are so excited to announce that the results of our huge science experiment can now be revealed! Overall we found that on average, the Earth seeds grew better than the space seeds, but not by much. 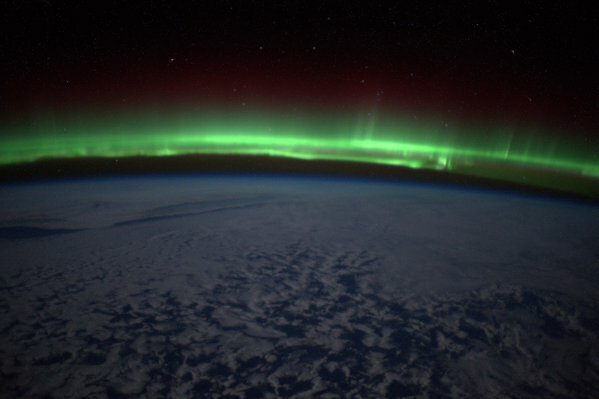 We think this is most likely caused by the space seeds being slightly affected by radiation while on board the ISS. 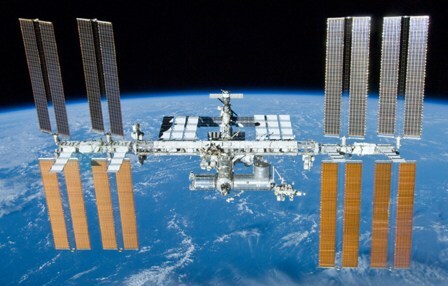 Despite this, they still grew and that is great news as it means there is still potential to grow food on long-term missions, or even another planet in the future! 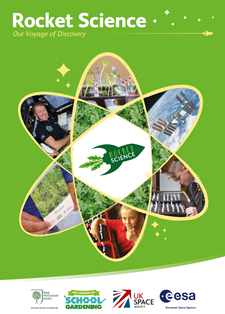 We have written a published a very special colourful report called 'Rocket Science: Our Voyage of Discovery' which is now available to download free from our website. The report contains the results, theories from pupils, comments from leading scientists, quotes, photos and a very special message from Tim. We would like to thank you all again for being so fantastic and being one of over 8,600 groups to take part in this project. 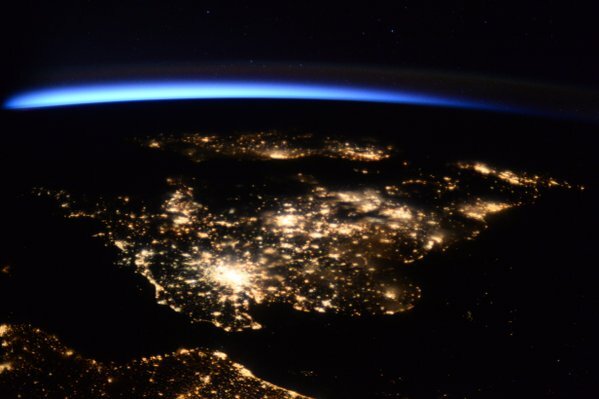 With your help, we have made one small step towards knowing more about growing food in space and one giant leap in inspiring young people all across the UK in science. We hope to be back in 2018 with another 'out of this world' project so watch this 'space'! 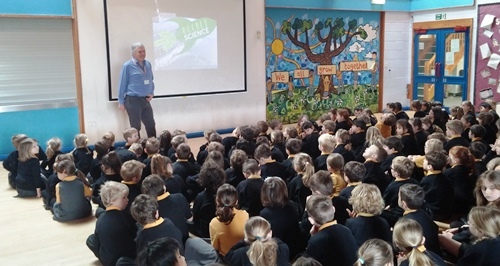 In assembly Mr Woodman and members of gardening club ran through the story of the project and showed the school the results of our measurements (see below). 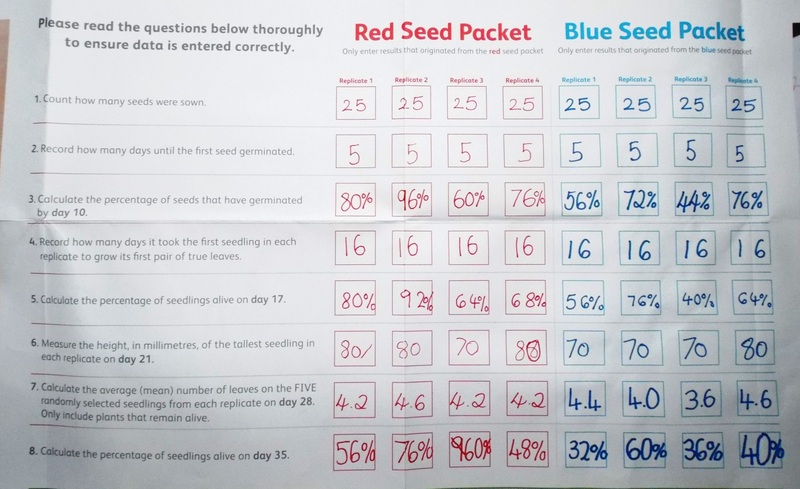 On a vote, the children chose Blue as the seeds that they thought had gone into space, but it was quite a close split. We're awaiting confirmation either way from the RHS. 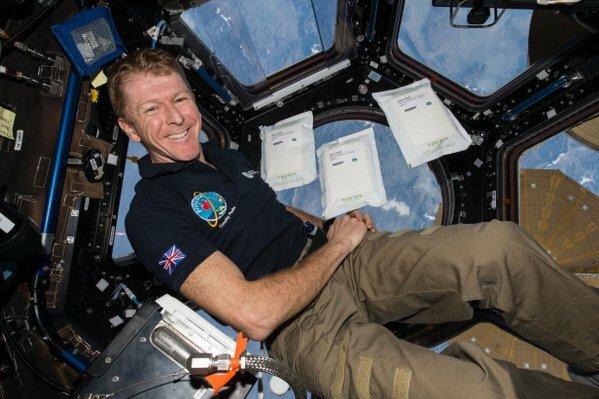 Tim Peake returned to Earth after 186 days in the ISS. He landed in Kazakhstan at 10.15am UK time. You can read more about his return and see video on the BBC News pages. 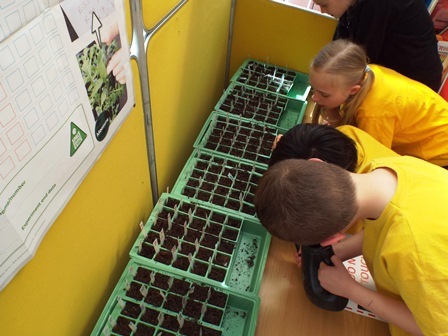 Mr Woodman uploaded all our results to the special RHS site. These will be combined with those from many other schools and organisations to discover any trends. We found that the red seeds grew better, but this might just be chance, maybe others will have different results or the same. We'll have wait for the final report from the RHS. 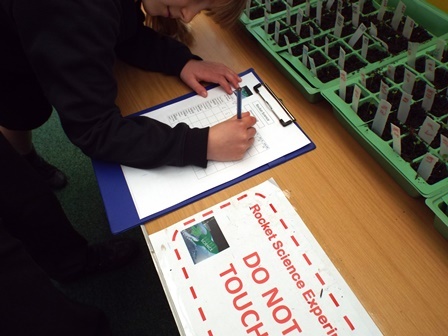 Today we had to calculate how many seeds in each tray were still alive. 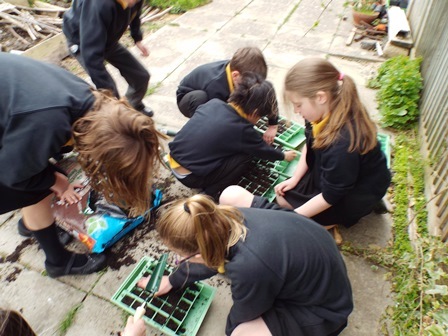 The Gardening Club carried out this assessment. 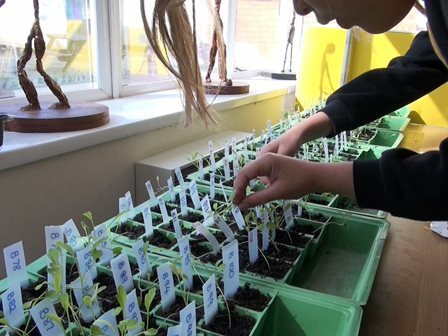 Unfortunately in the early stages of the experiment our seedlings became 'leggy' and spindly, so deciding which ones were still healthy was quite tricky. We decided to discount any seedlings with obvious brown or crinkly leaves. 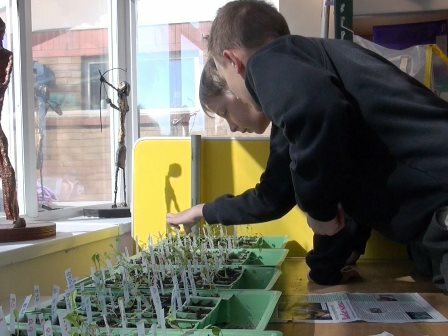 We will give you a fully detailed report after the half-term holiday, when we will also be uploading all our results to The RHS to be combined with other schools' results in the final research. Then we'll find out which set went into space - Red or Blue? Today we have to count the number of leaves on a random selection of 5 seedlings in each tray, then turn this into a average (mean) figure for that tray. Some Year 5 mental maths came in handy! So for instance in the Red 26-50 tray the results were 4+5+5+4+5 = 23. Divide by 5 to give mean = 4.6. Working out the average across all the trays: Red = 4.3 Blue = 4.15, so not much in it, but Red still slightly ahead on this measurement. This is a day when the protocol tells us that we need to assess the number of plants still alive. With the help of some of Year 3, we checked the numbers and turned these into a percentage for each tray. There is some variation between the trays, which is to be expected, but overall we have Red 76% and Blue 59% which does seem a significant difference. However there are nearly 3 weeks to go. 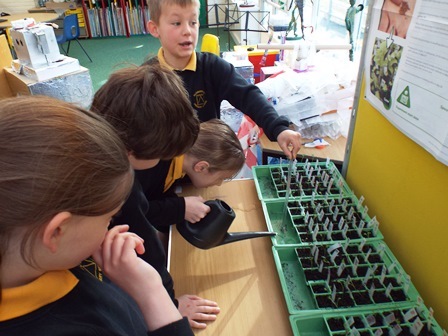 Children from Year 3 have been monitoring the seeds this week and have been turning the seed trays and watering as required. On Day 16 we spotted our next landmark, the appearance of the first 'true leaves', in other words, leaves that look like those on the fully grown plant. The children checked carefully and we think that there was at least one in each tray. Today is the first specific day when we have make recordings of data. 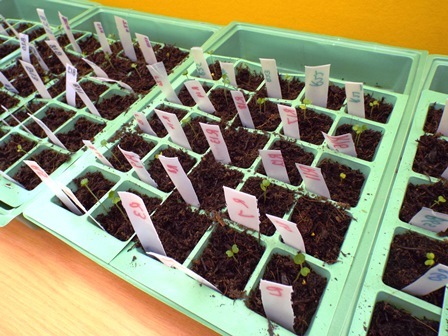 In this case it is the number of seeds which have germinated in each tray up to this point. 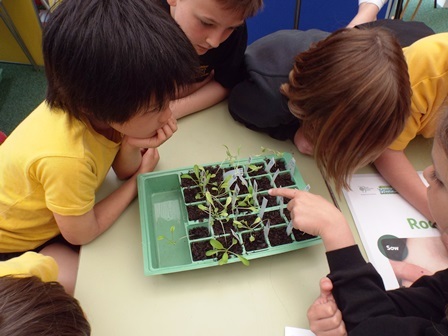 After Year 4 monitors had turned the trays and checked the watering, 4 children from Year 3 counted the seedlings and recorded the totals. With a little help from Mr Woodman, they then converted these to percentages. 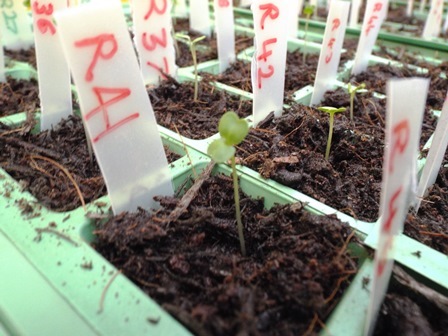 Monday 25th: We have germination! 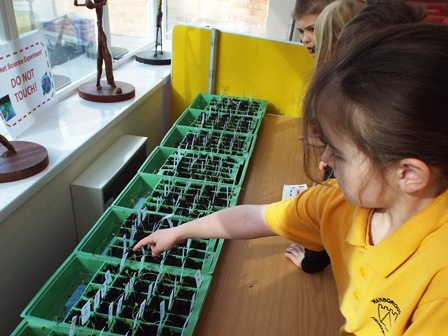 We arrived in school Monday morning to discover that our seeds have been busy over the weekend putting up little shoots. We checked if they need watering - they are OK at the moment - and turned the trays through 180°. 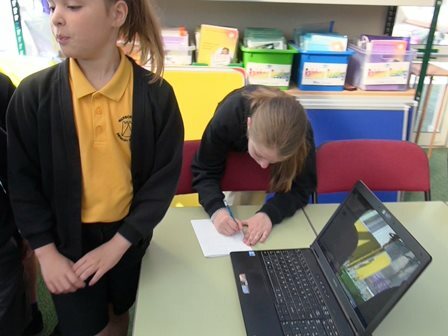 The year 4 monitors also did this on Friday. 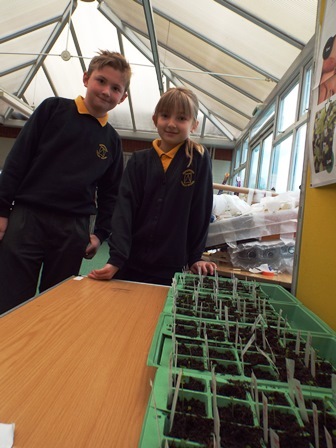 Next key day is Friday 29th 'Day 10' when we need to check the total number of germinated seeds in each tray. 1. 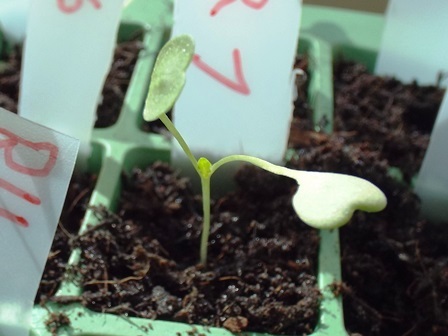 Randomisation: To ensure that one set of seeds doesn't get undue advantage from more sunlight or other environmental factors, the order of the trays was randomised by the simple act of drawing tickets to determine the order. There will be further randomisation in how the tests are carried out as we progress through the project. 2. 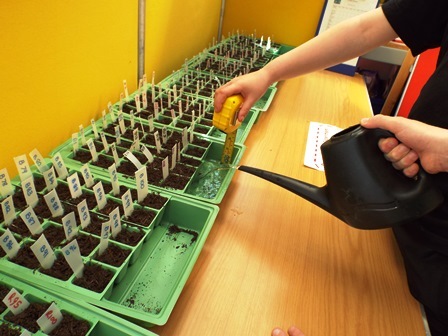 Watering: So that the seeds get a fair start, all the trays were watered with the same amount of water, to depth of 2cm, as required by the project instructions. 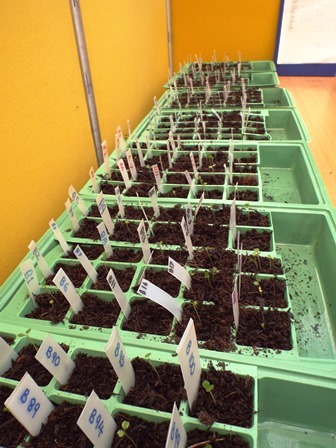 Now we need to observe the seeds for the first germination in each tray (when the first tiny leaves appear), make sure that compost is kept moist and that the trays are turned through 180° every 2 days to ensure even light. Other classes will be doing further observations and measurements. 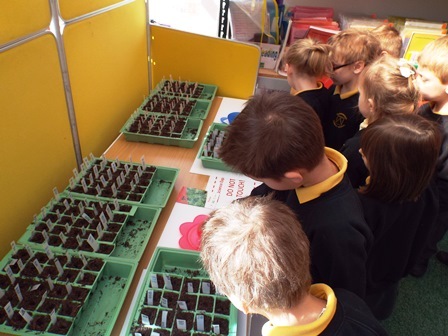 Monday 18th: Mr Woodman explained more about the project in assembly and then later OUR SEEDS ARRIVED!!. Two packets, one red and one blue. One of them has been in space on the ISS, the other hasn't. The children in assembly voted overwhelmingly for blue as the space seeds, but the truth is, we don't know, as this is a 'blind' test. 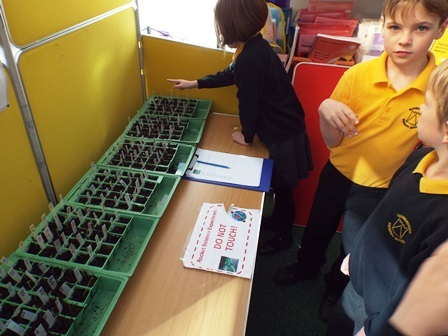 In the afternoon Gardening Club filled with compost 25 planting modules in each of the 8 seed trays, in which the seeds will grow. 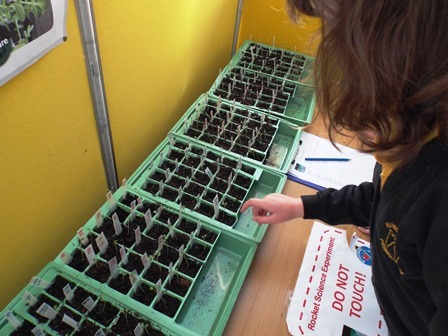 These have been set up in the Learning Zone to allow them stabilise for temperature and moisture. 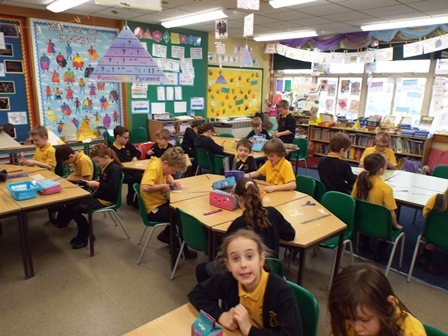 Thursday 14th: Year 3 made the 200 labels needed for the seeds, R 1-100 & B 1-100. These were cut out from plastic milk bottles which allow light to pass through, so they minimise any shadows cast across the plants when growing. 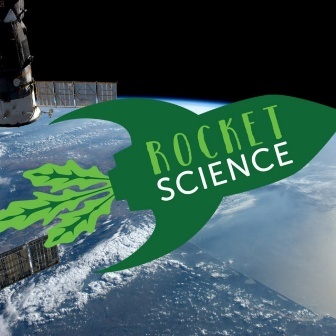 Mr Woodman 'launched' Science Week with the latest news from Tim Peake in the ISS and the Rocket Science project. We finished with a real launch! 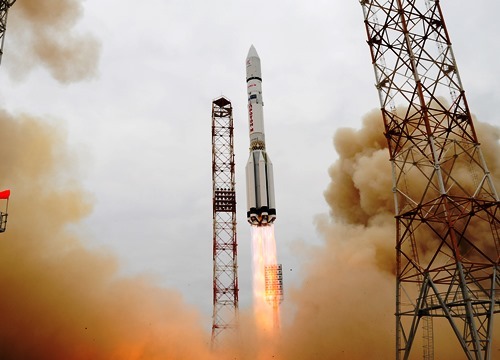 By coincidence, the European Space Agency's ExoMars project was being launched just at the end of the assembly, so we were able to watch it live from the Russian launch site in Kazakhstan. Very exciting! 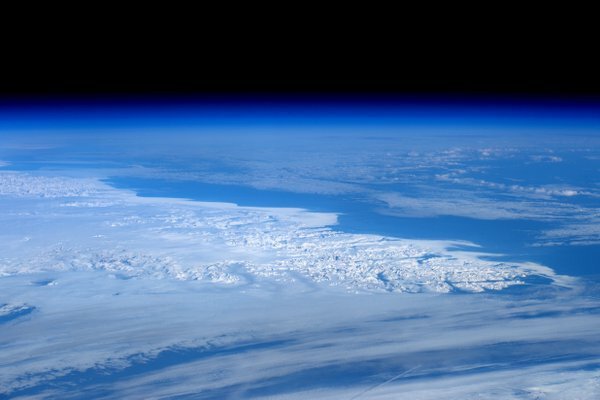 At 04:26am on 2nd March, Commander Scott Kelly of NASA and Russian cosmonauts Mikhail Kornienko and Sergey Volkov of Roscosmos landed safely back on Earth. 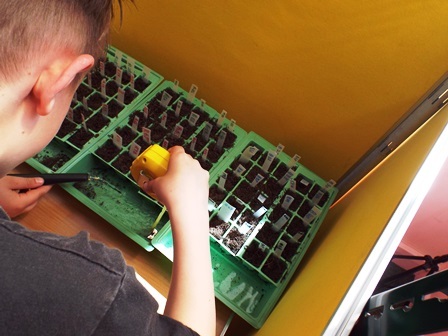 The RHS are aiming to deliver the packs on Tue 12th or Wed 13th April ready to sow the seeds on 19th or 20th April. 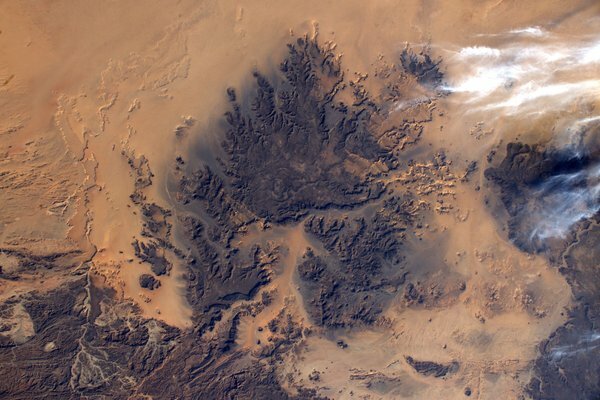 Tim Peake is very active on Twitter providing all sorts of insights into life on the Space Station and posting some amazing pictures and videos. You can link to his Twitter from this page. 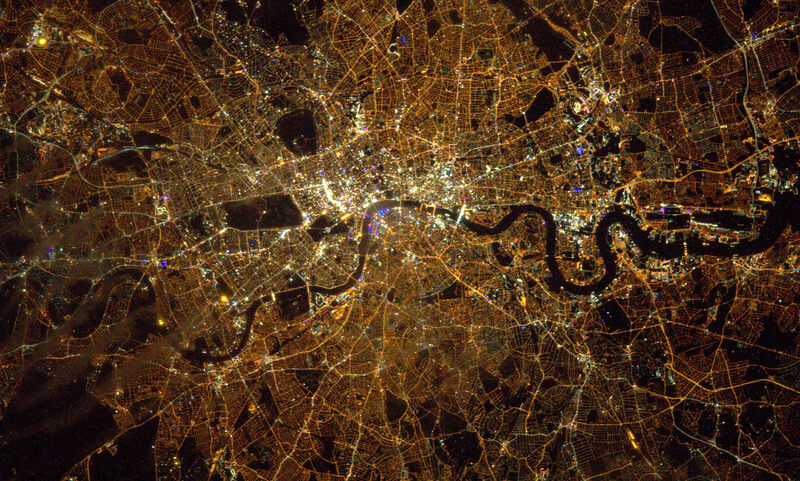 Elsewhere on this page are links to various sites with information about the International Space Station, Tim Peake's Mission "Principia", the Rocket Science Project and more. 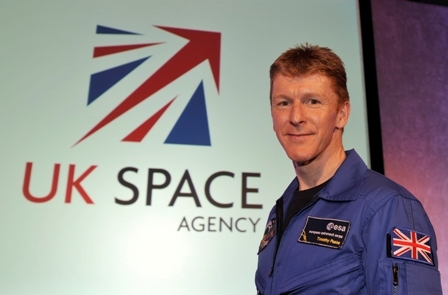 On December 15th British Astronaut Tim Peake successfully flew to the International Space Station. 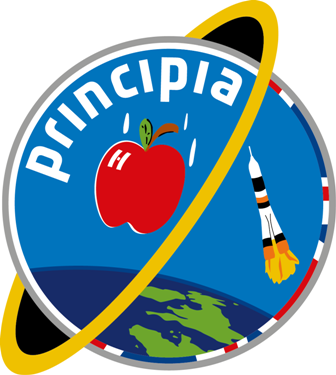 His mission, named Principia will last 173 days until June 5th. Education is a big part of his mission and there will be many ways to follow his mission through blogs, tweets and other special broadcasts. 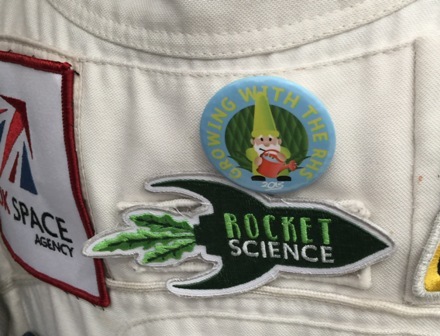 We are following him on Twitter and are also excited to be part of the Royal Horticultural Society's "Rocket Science" project. 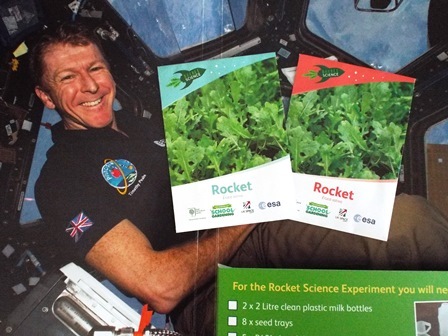 These will be returned next year and then UK schools will be able to test how seeds that have been exposed to the zero gravity in space grow, compared to those that have stayed on Earth. Why is this important? 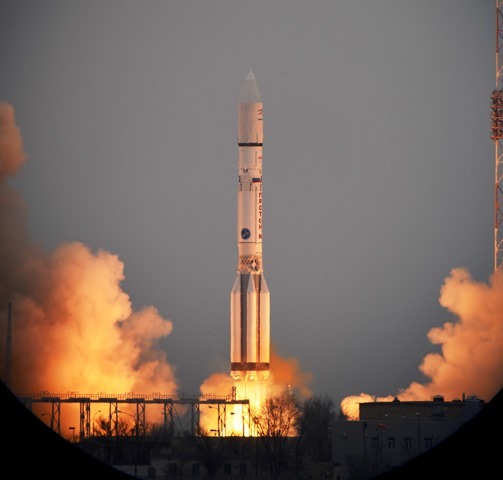 According to NASA, a vessel with humans on it would take roughly six months to travel to Mars and another six months to travel back from Mars. 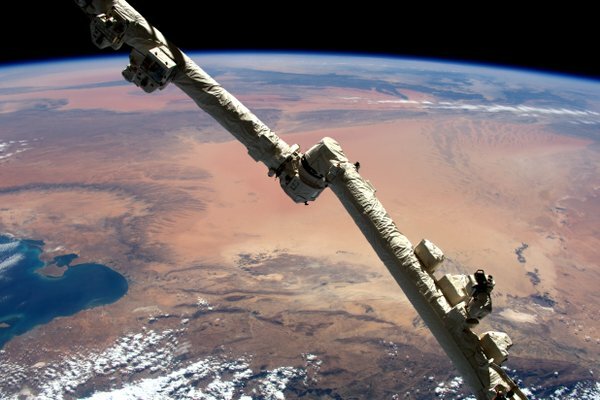 In addition, astronauts would have to stay 18-20 months on Mars before the planets re-align for a return trip. In all, the mission would take roughly two and a half years. If they can grow food while they are away it will be so much better than trying to take supplies with them, but scientists just don't know if that will work, so we're going to help them find out. Below are links to lots of information on the mission, we'll keep updating it as the it progresses.